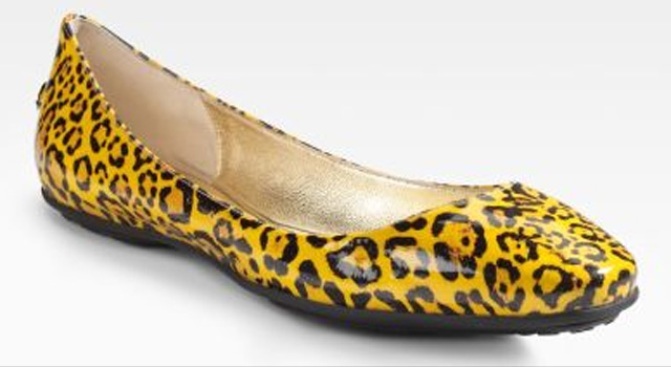 Jimmy Choo's fabulous leopard-print flats. PURR: Love the 1980s appeal of these patent leather leopard-print flats from Jimmy Choo – rock them with your all-purpose black summer mini-dress for a very Girls Just Wanna Have Fun moment. $365; available at Neiman Marcus online. JUST OPENED: We’ve long loved the gauzy, flowery, hippie-but-pas-trop pieces at Callalilai, first in Boerum Hill and then in Nolita. Japanese designer Hogo Natsuwa is expanding still (what recession? ), with a third outpost in the old Howard Kaplan Antiques space down from Union Square. 827 Broadway at 12th Street; no phone yet. BONANZA: We could just camp out amid the cheery, candy-colored wares at Kirna Zabete and play dress-up all day. Scoop up savings up to 60 percent off at the boutique’s summer sale (that skinny Alexander Wang black pant you’ve been eyeing? $170, down from $425). Proenza Schouler, Lutz & Patmos – all here, all discounted. 96 Greene Street near Spring Street; 212-941-9656 and online.